Presented in partnership with Unseen Worlds Records. Read a preview in The Stranger. 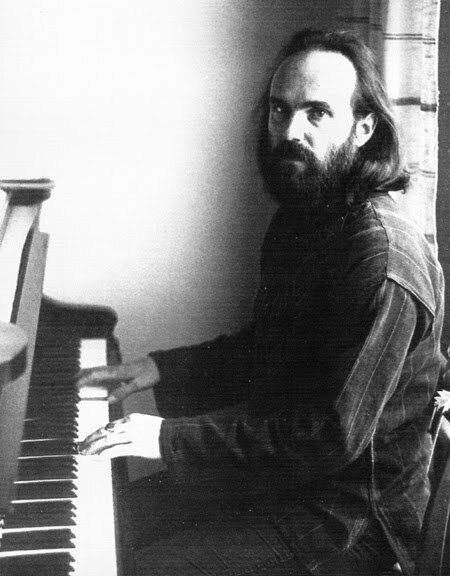 Ukrainian-Canadian composer/pianist Lubomyr Melnyk‘s Continuous Music is based on the principle of a ”continuous” and unbroken line of sound from the piano, created by generating a constant flow of rapid notes, usually with the pedal sustained non-stop. As in the music of composers such as LaMonte Young, Terry Riley, and Charlemagne Palestine, this requires a special technique that takes years to master, and is the very basis of the meditative and “metaphysical” aspects within the music and the art of the piano. In his earlier works, Melnyk devoted much attention to the overtones which the piano generates, but in his more recent works, he has become more and more involved with the melodic potential of this music. Melnyk’s earlier music was generally classified as Minimalism, although he strongly refutes that term, preferring to call his music MAXIMALism, since the player has to generate so many notes to create these “Fourth Dimensions of Sound.” His classic 1978 album KMH was reissued in 2007 by Seattle label Unseen Worlds.